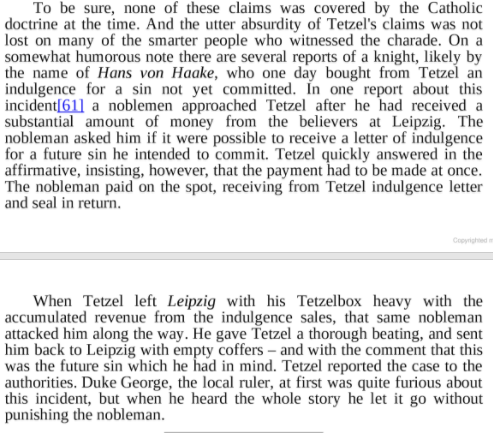 Luther: Tetzel Sold an Indulgence to a Man who Then Robbed Him? Wikipedia tells a story about a man who asked Tetzel if he could buy an indulgence for a future sin. He did so, and then “used” that indulgence to rob Tetzel dumb, deaf and blind. According to Luther, after Tetzel had received a substantial amount of money at Leipzig, a nobleman asked him if it were possible to receive a letter of indulgence for a future sin. Tetzel quickly answered in the affirmative, insisting that the payment had to be made at once. The nobleman did so and received thereupon letter and seal from Tetzel. When Tetzel left Leipzig the nobleman attacked him along the way, gave him a thorough beating, and sent him back empty-handed to Leipzig with the comment that it was the future sin which he had in mind. Duke George at first was quite furious about the incident, but when he heard the whole story, he let it go without punishing the nobleman. This story serves as an example why Wikipedia should not be used as a primary reference. This is not a report "according to Luther" nor is it "Luther's impression" of Tetzel. While Luther did make a number of comments about his adversary, this account is not Luther's. Further, the story is just that: a purported story of something that may have happened to Tetzel. 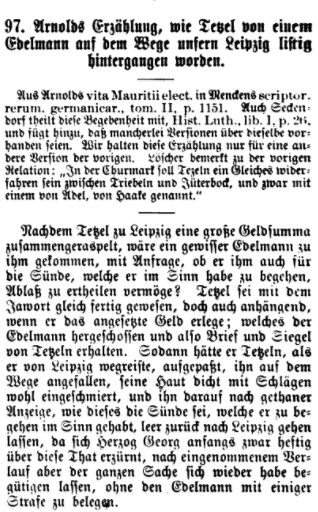 This hyper-link was eventually edited down to, "Description of Incident Involving Tetzel, by Luther." On March 18, 2017, someone then added a PDF link page 745 of this this book to verify the story. This was fallacious as well: there is no page 745 in the book being cited. Even though a similar story is recounted on page 445, on May 21, 2017 this PDF book link was removed, along with the original documentation-link "Description of Incident Involving Tetzel, by Luther." That's how the entry stands now: no documentation. Michael Grzonka, Luther and His Times. This author obviously utilized Hillerbrand's translation, but tried to rewrite it to make it appear to be his own words. Certain phrases are exactly the same as Hillerbrand's, for instance, "...nobleman attacked him along the way...," "...gave him a thorough beating, and sent him back...". Andreas Malessa, The Unreformed Martin Luther: A Serious (and Not So Serious) Look at the Man Behind the Myths, p. 27-28. Eric Metaxas, Martin Luther: The Man Who Rediscovered God and Changed the World, p. 106. Not only does this author provide no documentation, he erroneously attributes this story to "a contemporary of Luther's named Myconius." We'll see below that this story is not something Luther stated. Rather, it was a story recounted in an early version of Luther's works, and whoever at Wikipedia cut-and-pasted it simply assumed Luther said it. Their history of editing demonstrates something I've seen often in their articles: they make assertions, and then try to document those assertions. This is a backwards methodology demonstrating poor research skills. A Saxon gentleman had heard Tetzel at Leipsic, and was much shocked by his impostures. He went to the monk, and inquired if he was authorised to pardon sins in intention, or such as the applicant intended to commit? "Assuredly," answered Tetzel; "I have full power from the Pope to do so." Well," returned the gentleman, "I want to take some slight revenge on one of my enemies, without attempting his life. I will pay you ten crowns, if you will give me a letter of indulgence that shall bear me harmless." Tetzel made some scruples; they struck their bargain for thirty crowns. Shortly after, the monk set out from Leipsic. The gentleman, attended by his servants, laid wait for him in a wood between Juterboch and Treblin, — fell upon him, gave him a beating, and carried off the rich chest of indulgence money the inquisitor had with him. Tetzel clamoured against this act of violence, and brought an action before the judges. But the gentleman showed the letter signed by Tetzel himself, which exempted him beforehand from all responsibility. Duke George, who had at first been much irritated at this action, upon seeing this writing, ordered that the accused should be acquitted. [Albinus Meissn. Chronik. L.W. (W.) xv. 446, (and) c. Hechitus in Vita Tezelli]. On another occasion a gentleman of Saxony had heard Tetzel at Leipsic, and was much shocked by his impostures. He went to the monk, and inquired if he was authorized to pardon sins in intention, or such as the applicant intended to commit ?" Assuredly," answered Tetzel; "I have full power from the Pope to do so. "— "Well," returned the gentleman, "I want to take some slight revenge on one of my enemies, without attempting his life. I will pay you ten crowns, if you will give me a letter of indulgence that shall bear me harmless." Tetzel made some scruples; they struck their bargain for thirty crowns. Shortly after, the monk set out from Leipsic. The gentleman, attended by his servants, laid wait for him in a wood between Jaterboch and Treblin,—fell upon him, gave him a beating, and carried off the rich chest of indulgence money the inquisitor had with him. Tetzel clamored against this act of violence, and brought an action before the judges. But the gentlemen showed the letter signed by Tetzel himself, which exempted him beforehand from all responsibility. Duke George who had at first been much irritated at this action, upon seeing this writing, ordered that the accused should be acquitted. The Walch text here says that there are different versions of this story available, and included above are two of those versions. Walch also provides references to a number of historians mentioning this incident. The first account (#96) is the version mentioned above by Jean Henri Merle d'Aubigné (Albinus Meissn. Chronik.). This refers to Petrus Albinus, Chronicles of Meissen [information on Albinus can be found here]. 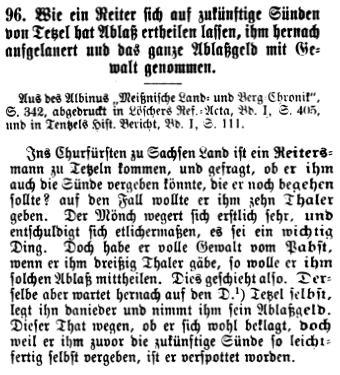 Meissnische Land-Chronika can be found here, and here is page 342 cited by Walch]. "Löscher's Ref-Acta, Vol. I, p.405" refers to Valentin Ernst Löscher's Vollständige Reformations-Acta und Documenta, oder umständliche Vorstellung des Evangelischen Reformations-Wercks, p.405. "Tentzels Hit. Bericht, Bd. 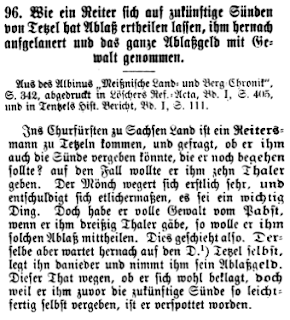 I, S. 111" refers to Wilhelm Ernst Tentzel's Historischer Bericht vom Anfang und ersten Fortgang der Reformation Lutheri, p. 111. The second account (#97) is the work of Georgius Arnoldus (Georg Arnoldus), from his Vita Mauritii Electoris Saxoniae (Life of Maurice, Elector of Saxony) [Information on Arnoldus can be found here. Information on Maurice can be found here]. The Life of Maurice was also include in Mencken, Scripores Rerum Germanicarum tom II, p. 1151 (mentioned by Walch above). Also being cited by Walsh is Commentarius historicus et apologeticus de Lutheranismo, Volume 1 By Veit Ludwig von Seckendorf, p. 26. All of this Wiki-produced-tedium should lead the honest inquirer to one simple conclusion: Wikipedia is not to be trusted as any sort of primary source. Simply take a look at the way the stories are presented above. The German versions are fairly straight forward. Some of the English versions above appear to be fleshing out the story for dramatic effect. As far as I can tell, the story functions more as hearsay than an actual historical happening. Sure, the account is within the realm of probability, but Albinus wrote his version in 1580, Arnoldus did his in 1569. Neither one was present to hear Tetzel preach on indulgences. One thing is certain: Luther did not write this story. Wikipedia (or anyone else crediting it to him) never bothered to actually look it up in Walch 15. Those folks selling books using Hillerbrand's translation without crediting him, be they Roman Catholic, Protestant, or Atheists, etc... well, shame on them. For years I've caught Rome's defenders doing the same sort of thing: giving an English quote they've taken from a secondary source, and then attempting to pass themselves off as honest and meaningful by citing a German text. It doesn't prove anything except that actual research was not done. Someone may well ask, why should I be trusted for the content just presented? To this I say "kudos to you." Go and do your own research. 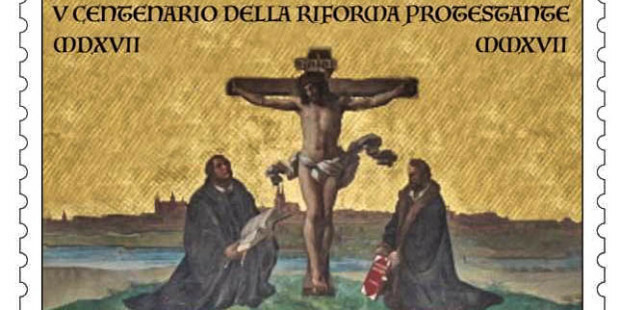 What's interesting is that the Vatican also issued a stamp commemorating St. Francis de Sales, a person who actively attacked the Reformation. Zenit says, "He carried out his ministry with the firm desire to safeguard the Church of Rome from the reform of Calvin." Perhaps though in a few years the Vatican will release a John Calvin stamp. I do feel sorry for many of Rome's defenders. A lot of them "converted" from Protestantism, and in their early zeal enjoyed throwing Luther and the Reformation under the bus. Now, their infallible church honors the memory of not only Luther, but Melanchthon as well. This demonstrates one of the blatant follies of the entire Roman Catholic apologetic enterprise. As a Protestant, there is no really eternal reason for "converting" to Rome. If Rome holds Luther and Melanchthon are penitent at the foot of the cross, then by extension other Protestants are as well. No analogy is perfect. Rome's apologists remind me of downloading freeware. Sure, the freeware works, but if you want more options, you have to pay some fee to get the expanded version with more features. The goal of Rome's apologists is to convince you to get the upgrade. When I look at the extra options Rome provides, I'm not interested. 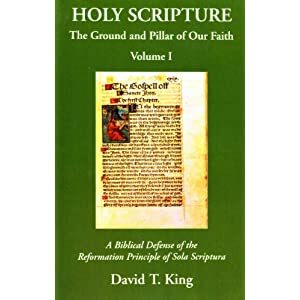 If the basic version provides Jesus Christ, you can keep the expanded version that includes saints, purgatory, indulgences, papal infallibility, transubstantiation, monkery, Mary's immaculate conception and assumption, etc. No thank you.